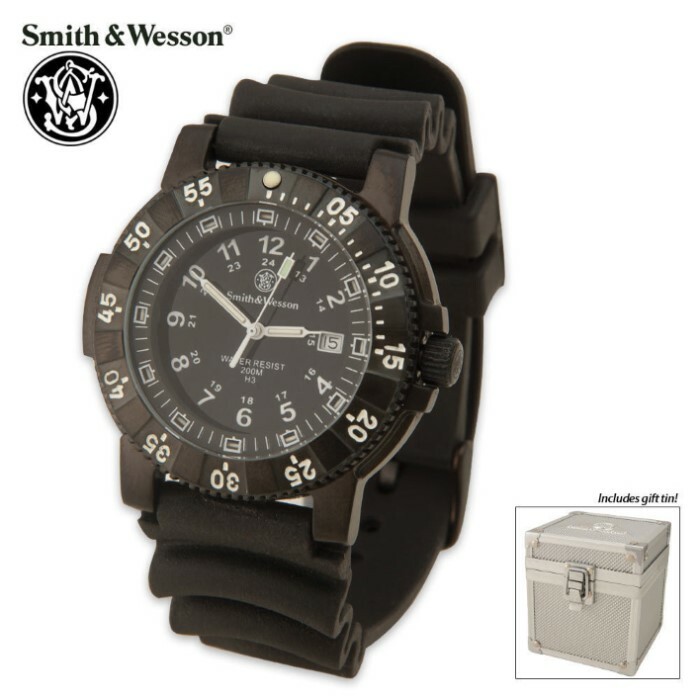 Smith & Wesson Tritium Dive Watch | BUDK.com - Knives & Swords At The Lowest Prices! This is the must have watch for any sport or professional diver! The Smith & Wesson Tritium Sport Watch features the constantly glowing Tritium illumination.